The 2014 Hawaii Legislative Session started on January 15. We’re in the middle of a 60 day session filled with speeches, paperwork, arguments, and revisions. When I first checked the measure summaries on January 16, there were 242 bills introduced in the House of Representatives and 270 bills introduced in the Senate, as well as 1,362 House carryover measures and 1,218 Senate carryover measures. By January 23, the bill introduction cut-off date, there were 1,240 bills introduced in the House of Representatives and 1,189 bills introduced in the Senate. Honestly, I don’t know how our legislators can be expected to read and understand every proposed bill, figure out how much they would cost, and debate about any unintended consequences. I worry that they don’t understand all the costs and effects of their law-making. I don’t understand why there isn’t a limit on the number of proposed bills that can be introduced – and why so many duplicate bills are accepted. The legislative session is more than half-way through, but I wanted to provide an overview of the proposed bills that could have a big impact on our state. Here are the tax highlights from the 2014 Legislative Session. There are many more tax proposals, increases, decreases, and adjustments; as well as numerous tax credits, exemptions, and repeals. If I’ve missed any important bills, please let me know! ** Flat income tax: HB1835 would require the Department of Taxation to develop a plan and proposed legislation to implement a flat income tax. Taxes should be simple and easy to understand. Our state and federal tax codes are far too complicated need to be simplified. ** Minimum tax refunds: SB3070 and SB3071 would provide for minimum tax refunds or tax credits to taxpayers when the state has a surplus. If we have a surplus, it means we have been over-taxed! ** No corporate income taxes: SB2767 would repeal the corporate income tax. This would definitely encourage economic growth, but I think it should be limited to the first years in operation or to new or expanded businesses. $$ Tax on internet purchases: HB1651, HB2135, and HB2507 would require us to pay use tax on tangible personal property sold on the internet as part of the Streamlined Sales and Use Tax Agreement. It’s unconstitutional to tax interstate commerce! It places an unfair burden on businesses, by adding more tax collection paperwork. It discourages small businesses by making it harder to compete with big retailers. Especially in Hawaii, it penalizes consumers who want to save money or buy products that cannot be found locally. The out-of-state retailers do not cost Hawaii anything and have no tax representation. Further, Hawaii businesses would have to pay taxes to other states, without gaining any benefits from those states or having tax representation. $$ GET increase: SB2041 would increase the GET by 1% for a 2-year period to fund the acquisition and management of agricultural lands. A GET increase would hurt everyone. And I think lawmakers would find a reason to let the increase continue after 2 years. $$ Higher county surcharge on state taxes: HB1606, SB359, and SB2115 would allow counties to add a surcharge of 1% to the state tax, without a sunset date. SB335 would allow counties to add an unspecified surcharge to the state tax. A county surcharge would hurt everyone – as well as being a burden on businesses, who must collect the surcharge and file more detailed tax returns. $$ Tax on health insurance premiums: HB2527 would impose a 2% rate increase on all health plans to fund the Hawaii Health Connector. HB2588 and SB2471 would add a 0.66% tax on the gross health insurance premiums derived from the sale of dental plans and qualified plans. This tax would be paid by everyone, at significant cost, without any health benefit, whether we use the Hawaii Health Connector or not. If you want to read more, here are the rest of the significant proposals I found about tax credits, tax increases, and tax policies up for debate. It’s a long post. If you have updates about any of the measures, please feel free to post an update. 1. Food and medical services tax exemptions: SB2169 would exempt food and medical services from the general excise tax (GET). SB2202 would amend the food/excise tax credit and tie it to increases in the Consumer Price Index (CPI). This would help all households, and be one step closer to a sales tax, instead of our pyramiding general excise tax. 2. More tax credits for seniors: HB2284 and SB2834 would double the refundable food/excise tax credit amount for taxpayers age 65 and older. HB2285 and SB2835 would triple the low-income household renters credit for taxpayers age 65 and older. SB2833 would provide an income tax exemption for low-income taxpayers age 65 and older. The key is “low-income” seniors. 3. Tie standard deductions, income taxes, and personal exemptions to inflation: HB1815 would provide for annual adjustments to the Hawaii standard deduction, income tax rates, and personal exemption in response to increases in the Consumer Price Index (CPI). This sounds reasonable, and would mean automatic adjustments – instead of waiting for taxpayer complaints. 4. Calculating the effects of major tax increases: HB1764 would require the Department of Taxation to conduct a study to develop a systematic approach to evaluate the costs and benefits of major tax increases. But also alarming, because it reveals that the legislature is considering major tax increases. 5. No taxes on retirement benefits: SB2982 would exclude certain retirement benefits from income taxation. This makes sense if the retirement savings were taxed when they were earned. 6. Tax credits for college savings: HB2612 would provide an annual deduction of $5,000 per individual or $10,000 for a married couple filing jointly against their taxable income for contributions made to an approved college savings plan. This would encourage college education and hopefully lead to a highly-qualified workforce. 7. Tax credit on earned income: SB2205 and SB2276 would establish a state earned income tax credit. I don’t know enough about earned income tax credits, or how this is different from standard deductions. 8. Tax credits for ohana housing: HB1592 and SB2340 would establish a refundable ohana residential housing income tax credit for principal residences. Ohana housing definitely helps to ease the affordable housing shortage. 9. Tax credits for electric vehicles and public transportation: HB2024 would establish an income tax credit for new electric vehicle purchases. HB2064 and SB2513 would establish an income tax credit for public bus pass purchases. Bills that reduce our dependence on imported gas, reduce emissions, and encourage public transportation will help keep Hawaii clean. 10. No estate taxes: SB2187 would repeal the estate tax on estates that are valued at $1 million or less. SB2963 would repeal inheritance and estate taxes. Estate taxes are double-taxation; the money in the estate was already taxed when it was earned. 11. GET exemptions for common expenses: HB334 would remove the sunset of the GET exemption for common expense payments to sub-managers and sub-operators of homeowners associations, community associations, hotels, and timeshare associations. This exemption makes sense; they are not making a profit on those expenses. It would be like taxing yourself for buying a hammer to make home repairs. 12. Tax credit for hiring an individual with a disability: HB2478 would provide a nonrefundable tax credit for hiring an individual with a disability for the first 6 months. Businesses should be able to hire the most qualified person for the job, at a wage both agree upon. That said, we never know what people can do unless we give them a chance. 13. No minimum tax on free hotel rooms: HB1339 would eliminate the $10 minimum transient accommodations tax on complimentary rooms. If something is free, it is free. 1. Higher wholesale tax: HB1873 and SB2965 would increase the use tax by 1.5% for 2 years to pay for agricultural lands. SB2013 would increase the wholesale tax from 0.5% to 1.5% beginning in 2015. No. A higher wholesale tax increases the cost of all goods. 2. Higher capital gains tax: HB2405 and SB3013 would tax capital gains as ordinary income. Short-term capital gains are already taxed as ordinary income. By raising taxes, we would discourage investment in new businesses and research. 3. Higher transient accommodations tax (TAT): SB2014 would increase the TAT rate to 10.5% on hotels with non-resident owners. SB1202 would increase the TAT to11.25%. Visitors to Hawaii are taxed enough; we should lower taxes to encourage visitors to come to Hawaii instead. 4. GET to pay for Hawaiian Home Lands administration: SB2268 would require a portion of the general excise tax to deposited into a Hawaiian Home Lands administration account. We need to fund mission-critical state services, not specific departments. 5. Tax on pensions: HB1569 would tax pension incomes of individuals with an adjusted gross income (AGI) of $100,000 or more. I don’t know enough about pensions. If pensions are funded with after-tax money, then the money was already taxed. 6. Paying for health care for (illegal?) immigrants: HB2540 would appropriate an unspecified amount for health care services for low-income, uninsured immigrants. Legal immigrants (legal permanent residents) qualify for Medicaid. Illegal immigrants should not receive government benefits. 7. Tax on car-sharing: HB1894 and SB2731 would establish a car-sharing vehicle surcharge tax. I thought that we want to encourage car-pooling and reduce traffic? 8. Tax on electric vehicles: HB2145 would establish an annual electric vehicle user fee. Electric vehicle owners already pay the GET and vehicle registration fees. 9. Tax on destination club memberships: HB1900 and SB2774 would establish a tax on annual destination club dues, and require destination club membership plan managers to register with the state. We should encourage people to come to Hawaii, instead of finding another way to tax out-of-state visitors. 10. Higher taxes on smokers: HB1849 and SB2971 would increase the tax on large cigars. HB2074 increase the general excise tax on tobacco products. SB2030 would increase the tax on cigarettes and little cigars “by an unspecified amount.” SB2066 and SB2496 would increase the excise tax on the wholesale price of tobacco products. SB2572 would establish an excise tax on electronic smoking devices. I don’t smoke, but I find it hard to tell (not ask) an adult that they can’t smoke. 11. Higher taxes on alcohol: SB2051 would increase the gallonage tax on various liquor categories. I don’t drink, but do we want to reduce the consumption of alcohol – or just grab more tax money? 12. Tax on conveyances: HB1523, HB1850, HB1703, and SB2554 would apply a conveyance tax to the conveyance of a controlling interest of an entity with an interest in real property and eliminate exemptions. 13. Higher cell phone bills: SB2596 would add a 66¢ enhanced 911 surcharge for prepaid connections – but exempting government entities. SB3103 would impose an enhanced 911 surcharge on prepaid wireless phone service providers, allowing 3¢ to be retained by the seller. The 66¢ tax on retail transactions seems unfair – if I understand correctly, a 30-minute prepaid card would have the same tax as a 1,000-minute prepaid card; and government entities would be exempt. 1. $100 stimulus tax credit: HB2026 would establish a $100 stimulus tax credit for Hawaii residents. I wouldn’t object to getting $100 of my own money back, but why not lower taxes instead? And don’t we already have a law that says that if there is a surplus, taxpayers will get a refund? 2. Electronic tax returns: HB2342 and SB2892 would require the electronic filing of tax returns. This may be a burden on low-income taxpayers or taxpayers with complicated returns. Can the Department of Taxation handle all of the electronic data? To encourage electronic filing, could we start with a small tax refund for first-time electronic filers, such as $3, payable via direct deposit? 3. Higher minimum wage: HB 1488 would increase the minimum wage by $1 on 7/1/14, 7/1/15, and 7/1/16 respectively. HB1623 would increase the minimum wage to $10 per hour on 1/1/15. HB1890 would increase the minimum wage to $7.75 on 1/1/15, $8.25 on 1/1/16, $8.75 on 1/1/17, and $9.00 on 1/1/18. HB2136 would increase the minimum wage to $8.00 on 1/1/15, $8.50 on 1/1/16, and $9.00 on 1/1/17. SB2609 would increase the minimum wage to $8.20 on 1/1/15, $9.15 on 1/1/16, and $10.10 on 1/1/17. SB2641 and SB3004 would increase the minimum wage to $8.25 on 1/1/15, $8.75 on 1/1/16, and $9.25 on 1/1/17. HB2278 and SB2828 would increase the minimum wage to $8.75 on 1/1/15, $9.50 on 1/1/16, and $10.00 on 1/1/17. HB2580 would annually increase the minimum wage and tie it to the Honolulu region consumer price index. Generally, only inexperienced and unskilled workers qualify for minimum wage. I’m not sure how much the minimum wage will help workers – and it may even disincentivize people from going back to school or furthering their skills. That said, we should protect workers from businesses who may take advantage of them. 4. General excise tax (GET) exemption: SB2171 would repeal the GET on all intermediary business transactions. I support the spirit of the bill, which is to avoid double (or triple) taxation on the same product; but the GET is a tax on business income. I’m not sure how this exemption would work. In my opinion, a better bill would be to repeal the GET and implement a sales tax instead. 5. No transient accommodations tax (TAT) for local residents: SB1222 and SB2170 would exempt Hawaii residents from the TAT. Is this fair to counties? When we visit neighbor islands, residents are also using the roads, utilities, and infrastructure. Would this be a burden on hotels, who must verify residency and keep records? 6. Lower state income taxes for low-income tax payers: HB1719, HB1806, HB1936, HB2371, SB2206, and SB2207 would reduce or eliminate the state income tax liability for taxpayers with a federal adjusted gross income of less than 125% of the federal poverty guidelines. HB2283 would provide an income tax exemption to low-income taxpayers over age 65. Don’t low-income taxpayers already pay lower taxes? 7. Tax credit for non-GMO produce: HB2187 would give a tax credit to non-genetically modified produce. I don’t know enough about this issue. Is non-GMO produce really healthier? 8. Legalize and tax gaming: SB767 would authorize shipboard gaming and establish an admission tax and a wagering tax. SB769 would grant a 20-year license for a stand-alone casino in Waikiki and impose a 15% wagering tax on gross receipts. I have no problem with shipboard gaming, but I am concerned about a casino in Waikiki. Why not start with a state lottery? 9. Tax incentives for wellness programs: SB2524 would create a tax incentive for employers that implement work site wellness programs. This is admirable, but first let’s ask health insurance companies to offer discounted premiums for wellness programs, instead of jumping to tax credits. 10. Tax credits for hotels: HB1594 and SB2336 would create a 10% tax credit for hotel construction or renovation. SB2965 would create an unspecified tax credit. HB2170 and HB2171 would extend the income tax credit only for new hotel construction. Do we need more hotels in Hawaii? Can our infrastructure support more residents and tourists? In addition to the hotel construction credit, HB2169 would give hotel operators a 4.5% tax credit of wages paid to qualified employees after completing hotel and resort construction or renovation. The hotels would hire employees with or without the tax credit. The 2014 Hawaii Legislature adjourns on May 1. Please think about these tax issues and how they may affect you and everyone around you. If you feel strongly about an issue, speak out! 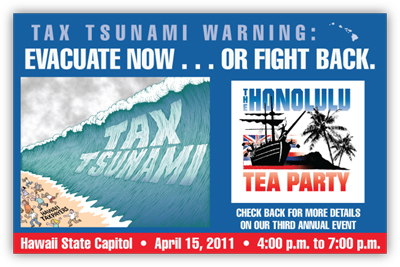 Talk to your family and friends, let your Hawaii legislators know about it, and write letters to the local newspapers. On July 10, 2013, Mayor Kirk Caldwell proposed ten property tax bills. All ten bills passed the first reading at the Honolulu City Council. Since all ten bills are under consideration, let’s take some time to look at the property tax proposals. You can and should read the 2013 Honolulu City Council bills for yourself in PDF format here. I’m not a lawyer or tax expert, so if I’ve misunderstood any of the bills, please let me know! First, let me state that I think all laws and all taxes should be 1) fair and reasonable, 2) easy to understand, and 3) easy to comply with. You decide whether the current real property tax code, and these property tax proposals, meet these standards. 1. Bill 34: Amends the exemption for charitable purposes, including labor unions and federal credit unions. No exemption percentage stated. My opinion: what is the intent of this bill? It appears to re-word the existing code, without any changes. 2. Bill 35: Cancels the real property tax exemptions for historic commercial real property dedicated for preservation. Currently, 50% of the value of the designated historical site is exempt from real property taxes. My opinion: “designated historical sites,” unless they are nonprofit community or cultural organizations, should pay the assessed property tax rate. 3. Bill 36: Adjusts the amount of real property tax exemptions for federal or state credit unions. Currently, credit unions pay the minimum $300 real property tax. My opinion: credit unions are a business and should pay the assessed property tax rate. 4. Bill 37: Adds transient vacation and bed-and-breakfast units to the “hotel and resort” real property class, raising the real property tax rate from $3.50 (residential) to $12.40 (hotel and resort) per $1,000 net taxable property. My opinion: this could discourage entrepreneurial individuals and families. It may also decrease income and general excise taxes, if homeowners choose not to offer vacation rentals because they can’t afford the almost 300% increase in property taxes. 5. Bill 38: Cancels the real property tax exemptions for dedicated lands in urban districts. My opinion: I need more information about “dedicated lands in urban districts.” How much land is currently dedicated? Can the lands be considered “public service”? 6. Bill 39: Adjusts the amount of certain real property tax exemptions for nonprofit medical and hospital indemnity associations. No exemption percentage stated. My opinion: nonprofit medical and hospital facilities are a public service. 7. Bill 40: Repeals the “in lieu of” home exemption for low-income taxpayers over age 75, limiting the home exemption to $120,000. Currently, low-income taxpayers age 75 have a home exemption of $140,000; low-income taxpayers age 80 have a home exemption of $160,000; low-income taxpayers age 85 have a home exemption of $180,000; and low-income taxpayers age 90 have a home exemption of $200,000. My opinion: undecided. My sympathy for elderly low-income residents is tempered by my support for a simplified and fair tax code. 8. Bill 41: Adds “residential-multifamily” as a new general real property class. Currently, multi-family properties are taxed at the single-family tax rate of $3.50 per $1,000 net taxable property. No tax rate stated. My opinion: what is the intent of this bill? How is a single family property shared by multiple families different from a multifamily property? Do residents of multifamily properties use less or more government services than residents of single family properties? 9. Bill 42: Adds “Residential A” as new general real property class for homes with assessed values of $1 million or more; and for homes that are not owner-occupied as the principal home. My opinion: this is unfair. Part-time residents pay the same property taxes as full-time residents, but use less government services. In effect, they are already paying a higher tax rate. And if they rent their home, they are paying more taxes in the form of personal income and general excise taxes. 10. Bill 43: Adds “time share” as a new general real property class, including condominium units used as time share units. No tax rate stated. Currently, time shares are assessed at the “hotel and resort” rate of $12.40 per $1,000 net taxable property. My opinion: what is the intent of this bill? Time share owners and visitors already pay a higher tax rate than full-time residents, but use less government services. FYI Maui’s “time share” class is assessed the highest rate in the state, at $15.50 per $1,000 net taxable property. Please think about these property tax issues and how they may affect you and your neighbors, whether or not you live in Honolulu. If you feel strongly about an issue, speak out! Talk to your family and friends, let your Honolulu Councilmember know about it, and write letters to the local newspapers. The 2013 Hawaii Legislative Session started on January 16. There are 1,484 bills proposed in the House of Representatives and 1,388 bills proposed in the Senate (as of January 27, a few days past Bill Cut-off). That’s a lot of proposed changes, improvements, and expenditures, but there are actually 2,391 fewer bills proposed this year than in the 2012 legislative session! Over the past few weeks, I’ve skimmed through the list of House and Senate bills, relying on the measure summaries to tell me the true intents of the bills. I’ve divided the proposed legislation into 7 broad categories: taxes, education, people vs. government, up for debate, law on our side, Native Hawaiian issues, and trivial pursuits. Here are the tax highlights from the 2013 Legislative Session. There are many more tax proposals, some of them hidden and many of them confusing. Some bills, like SB360 are tricky – lowering some taxes while raising others. If I’ve missed any important tax bills, please let me know! The good: There are 10 proposals that attempt to lower our taxes. 1. No general excise taxes (GET) on food and medicine: HB16 exempts food grown in the state from the GET. SB257 exempts food from the GET. SB788 exempts food and medical services from the GET. SB335 exempts food and over-the-counter drugs from the GET. Food and medicine are basic necessities; this would especially help low-income families. 2. GET on retail transactions only: SB268 repeals the GET on all intermediary business transactions, such as wholesale or re-sale transactions. This would eliminate double taxation and mean less paperwork for businesses! 3. General excise tax holiday: SB249 proposes a general excise tax holiday if retail businesses pass the savings on to consumers. This would encourage spending, especially on big-ticket items. 4. Repeal the mass transit county surcharge: SB275 discontinues the county surcharge on state tax for mass transit. Unexpended moneys must be returned to the state. 5. Lower income taxes: HB694 lowers income taxes, by repealing the temporary increase in income tax rates. HB384 creates a tax credit for low-income persons who fall below federal poverty guidelines. SB360 doubles the standard deduction amounts, the tax credit for household and dependent care services, the income tax credit for low-income household renters, and the refundable food/excise tax credit. 6. Lower taxes for farmers: HB503, SB816, and SB1381 provide a GET exemption on farm fresh produce consumed within Hawaii. SB363 creates an income tax exemption on the first $50,000 of income for family farms. 7. GET exemptions for used vehicles: HB1286 and SB352 exempt used, currently-registered motor vehicles from the GET. This is common-sense – someone paid the GET when the car was new. 8. Lower vehicle registration fees: SB334 reduces the state motor vehicle registration fee from $45 to $38 on 7/1/2013 and $31 on 7/1/2014. SB634 reduces the annual state vehicle weight tax for certain hybrid and electric vehicles by 10%. I’m on the fence about this one – we need to maintain our roads. 9. Encouraging charitable giving: HB860, HB1053, and SB462 remove itemized deduction limits for charitable giving. SB247 and SB786 exempt the GET for fundraising activities by charitable organizations. 10. Tax credits for businesses that relocate to Hawaii: HB553 offers tax credits for businesses that expand or locate their operations in Hawaii and increase employment. 1. Increase the general excise tax (GET): HB149 increases the GET from 4% to 4.5%. SB191 increases the GET from 4% to 5% for two years to fund the acquisition and management of agricultural lands. HB1368 and SB604 increase the GET from 4% to 5% to fund education. SB360 increases the GET from 4% to 5%. SB359 authorizes counties to impose a 1% surcharge on the GET. SB335 authorizes counties to impose a surcharge on the GET. I am opposed to any increase to the GET, because it is an unfair system that taxes every level of production, from wholesale to retail, and forces businesses to pay taxes on the taxes they collect! 2. Tax on Internet sales: SB948 allows Hawaii to implement the Streamlined Sales and Use Tax Agreement to tax Internet sales. I am opposed to taxes on Internet transactions that occur in a state where the company does not have a location. This proposed bill would generate confusion and more paperwork for businesses and higher costs for Hawaii residents. More companies might refuse to ship to Hawaii. 3. Expands the GET: HB1257 and SB1335 expand the application of the GET to “business activities in the State that are significantly associated with a seller’s ability to establish or maintain a market in the State.” I’m not sure exactly what this means. 4. Tax on plastic bags and styrofoam: HB356, HB357, SB13 and SB14 add a 10¢ tax on single-use checkout bags, with businesses retaining 1¢ of the tax (subject to income and general excise taxes for the first year). HB934 and SB1165 establish a fee for single-use checkout bags. SB621 adds a 10¢ tax for foam disposable food containers. My ten cents: I think that plastic bags and styrofoam should be a business and consumer decision; I am skeptical that eliminating plastic bags will really help the environment; and I am outraged that businesses would be paying tax on the tax! 5. Higher sewer taxes: SB1132 increases the solid waste management surcharges for solid waste disposed of in landfills, shipped out of state, or disposed of at waste-to-energy facilities. Is this a legitimate increase? 6. Higher taxes on real estate: HB935 and SB1166 increase the Conveyance Tax on certain real estate transactions to pay for watershed protection and invasive species control. This tax is unfair. 7. Tax on soda (sugar-sweetened beverages): HB854 and SB1085 add a fee on sugar-sweetened beverages. SB646 takes it further by creating a tax on sugar-sweetened beverages, syrup, and powder. My ten cents: the choice to produce and drink soda is a business and consumer/parental decision; I question whether soda is really the main contributor to obesity (what about diet soda? ); and this seems to be a test-case for even more taxes on what we eat (are cookies, chips, and plate lunches next?). 8. Higher gas taxes: HB988 increases the environmental response, energy, and food security tax by at least 2¢ to support native wildlife. 9. Higher vehicle registration fees: HB892 and SB1123 increase the state vehicle registration fee by $1. 10. Higher taxes on tires: HB375, HB441, SB63 and SB569 add a $1 motor vehicle tire surcharge. 11. Higher tobacco and liquor taxes: HB657 and SB492 impose a tax of $3.20 per net ounce of tobacco to fund cancer research. SB645 increase liquor taxes to fund community health centers and the trauma system. On the good side, SB1261 reduces the liquor tax to 23¢ per gallon on the first 60,000 barrels of beer brewed or produced by a small Hawaii brewery. Government excessively taxes alcohol and tobacco use, just because they can. 12. Higher hotel taxes: HB971 and SB1202 raise the transient accommodations tax to 11.25%, by eliminating the sunset of the lower 9.25% rate. On the good side, SB1222 would exempt Hawaii state residents from the transient accommodations tax. We should have a lower “accommodations” tax to encourage visitors to say longer, since they’ve already made such a big effort just to get here. Yes, visitors use city and state services; but they also pay the GET on everything they buy. Please think about these tax issues and how they may affect you and everyone around you. If you feel strongly about an issue, speak out! Talk to your family and friends, let your Hawaii legislators know about it, and write letters to the local newspapers. The 2012 Hawaii Legislative Session started on January 18 – a subdued, “working” opening day without fanfare, without entertainment, without public spectacle. That said, there are 2,754 bills introduced in the House of Representatives, and 2,509 bills introduced in the Senate (as of February 6). Over the past few weeks, I’ve skimmed through the list of proposed bills, hoping that the measure summaries are accurate. I don’t have time to read the full text of every bill, and there seems to be a lot of duplication. Here are the tax highlights from the 2012 Legislative Session. There are many more tax proposals, increases, decreases, and adjustments; as well as numerous tax credits, exemptions, and repeals. If I’ve missed any important tax bills, please let me know! 1. General excise tax (GET) increase: HB460 allows counties to add a 0.5% surcharge on the general excise tax to pay for water infrastructure. HB567 proposes an increase to the GET. HB1631 raises the GET to 5% for five years. SB3063 increases the GET by 1% to fund education. I oppose any increase in the GET. It taxes every level of production, from wholesale to retail, and forces us to pay taxes on the taxes we pay. It also makes our economy seem stronger, by including taxes in business income. 2. Sugary beverages tax: HB1062, HB1188, HB1216, SB1179, SB2479, SB2480, and SB3019 tax sugary beverages (including fruit and vegetable juice, and sweetened coffee and tea). This “sin tax” would raise the cost of beverages. 3. Plastic bags tax: HB1828, HB2260, HB2365, HB2821, and SB1363 tax single-use plastic bags. Plastic bags are tremendously useful. I think that single-use plastic containers are a bigger danger to our landfills. 4. Bottles and cans surcharge: HB1120 and SB2139 establish a 5¢ surcharge on deposit beverage containers. This bill would raise the price of beverages. 5. Taxes on out-of-state sales: SB1355 creates a “nexus standard” for taxing out-of-state businesses on their business activities in Hawaii. HB1183, HB1265, and SB2226 implement the streamlined sales and use tax agreement. It is unfair and unreasonable to expect businesses to cater to every state and local tax around the country. Everything costs more in Hawaii, and a tax on Internet sales and out-of-state sales would make everything more expensive for consumers – and reduce our competitiveness around the world. 6. Digital goods tax (music, movies, books, computer software): HB2677 and SB2884 impose the GET on digital goods. We already pay the GET on electronic devices and physical disks/DVDs; this bill proposes that content itself can be taxed (but not online newspapers or blogs, YET). 7. Fuel tax increase: HB1386 raises the environmental response, energy, and food security tax. HB1531 raises the liquid fuel tax for six years. HB2094 increase the fuel tax by 2¢ per barrel. SB176 increases the barrel tax to 35¢ per barrel. SB722 increase the barrel tax. SB722 raises the barrel tax. SB1131 increases the state liquid fuel tax (as well as the state vehicle registration fee and the state vehicle weight fee). Hawaii already has the highest gas prices in the country, and 45.8¢ per gallon is spent just on taxes (as of January 2011), estimates the Tax Foundation. 8. Vehicle registration fee increase: SB1131 increases the state liquid fuel tax, the state vehicle registration fee, and the state vehicle weight fee. SB2346 increases the vehicle weight tax. I actually don’t have a problem with raising vehicle registration fees, as long as the money is used to maintain the roads. 9. Household battery tax: HB2811 proposes a 5¢ fee per package of household batteries and a 10¢ refundable deposit fee per battery. We could easily promote battery recycling through the “blue” bin, instead of a tax. 1. GET decrease: SB849 repeals the GET on all intermediary business transactions. This would eliminate getting taxed twice on the same product. 2. Food and medical services exemption: SB269 proposes GET exemptions for food and medical services. SB852 proposes a GET exemption for food. While I believe that the GET should be replaced with a reasonable sales tax on retail-level goods, a food and medical services GET exemption is a good start to easing our tax burden. 3. Wireless surcharge repeal: HB60 and SB783 eliminate the 66¢ monthly surcharge on wireless telephone accounts, originally established to fund the wireless enhanced 911 service. The service has been established; why are we still paying for it? 4. Flat income tax: HB1900 implements a flat income tax by 2015. There are two definitions of “fair” taxes: one rate for all (a “flat” tax) and a lower rate for the rest of us (a “progressive” tax, or those who can, pay – minus the tax credits and exemptions, of course). 5. Tax reform: HB1319 and SB1203 create a task force to reform tax laws. A high school student should be able to understand and explain our tax code. Maybe we could start with this legislative session.